January 15, 2014  Aerobic exercise reduces the risk of diabetes. 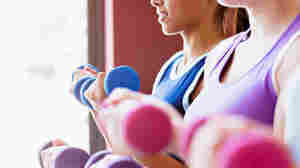 But it looks like muscle-strengthening exercises help, too, according to the Nurses Health Studies. 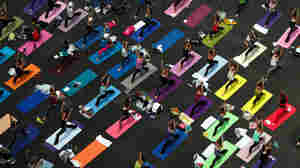 Even supposedly lighter forms of exercise like yoga and stretching reduced women's risk of developing Type 2 diabetes. July 1, 2013  The decision came after some parents in the San Diego area sued the Encinitas Union School District to stop yoga classes because they believed the ancient Indian practice had religious overtones. An attorney for the patents said they'd likely appeal. August 7, 2012  Yoga instructor Dara Brown trains students at Columbia College and together they go out and try to help middle-school girls deal with the stresses of every day life. August 23, 2010  The Indian government has recruited scholars and yogis in a quest to keep yoga in the public domain.